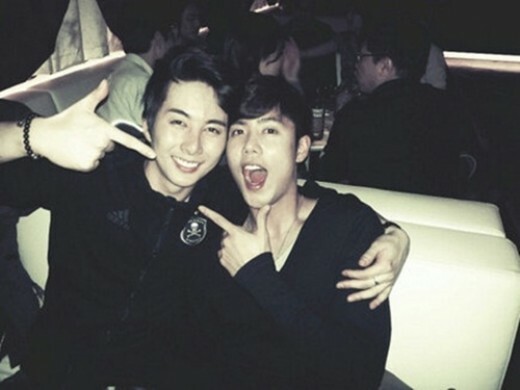 On March 10th, SS501's Kim Kyu Jong posted a photo of himself and his close friend, Kim Hyung Jun on his twitter with a long message, "Baby Junnie's concert was totally fun. Thanks to all the shoutings from 2nd storey, my throat hurts today Junnie is the best, best, best, I love you. And Youngsaeng's album will be release soon!!! Totally love the songs. Young Saeng hyung deabak. hyung how do I look". In the photo, Hyung Jun and Kyu Jong are staring at the camera with bright smiles and playful expressions. Even with simple clothes, they still shine with their good lookings and white skins. They look like they had a small party after the concert. 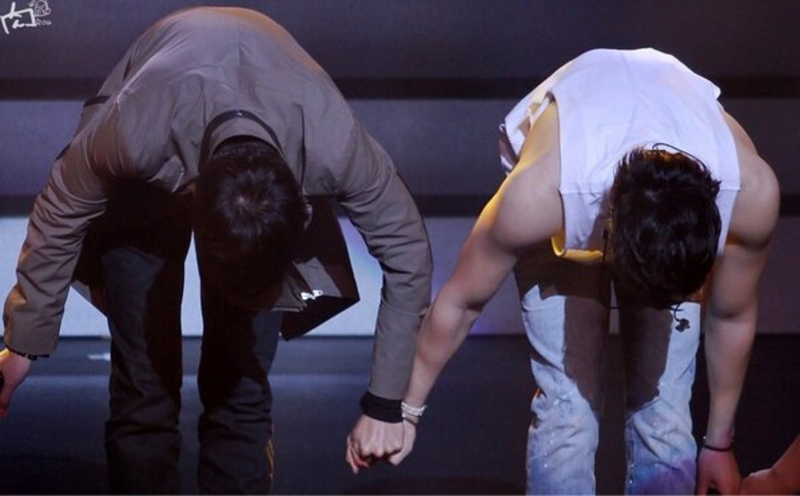 Their deep friendship make fans admire. On March 09, Kyujong, who is serving in the military, spent his free time attending Hyung Jun's 1st solo concert, "The first" at Woori Art Hall, Olympic Park, Seoul. Korea. They also shared their happiness on the stage. Netizens commented, "Kim Kyu Jong, Kim Hyung Jun sticky friendship", "SS051 unchangeable friendship. 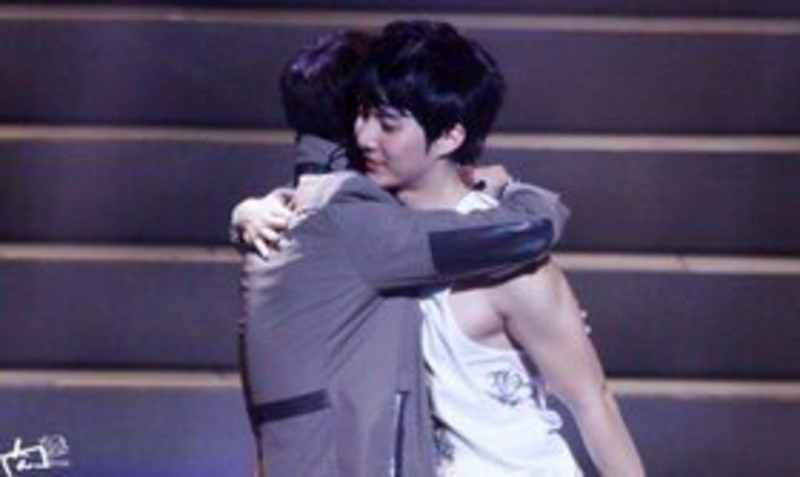 I'm so happy","Kim Hyung Jun's concert is excellent","YS is Heo Young Saeng? The new song was really nice..","Kim Kyu Jong, such a long tim no see",... showed a variety of reactions.